Uncertainty about the future of Brexit is affecting the mental health of a third of UK adults, a new survey has found. Around 33 percent of people said Britain's departure from the European Union has had a negative effect on their wellbeing, according to a poll by the British Association for Counselling and Psychotherapy (BACP). 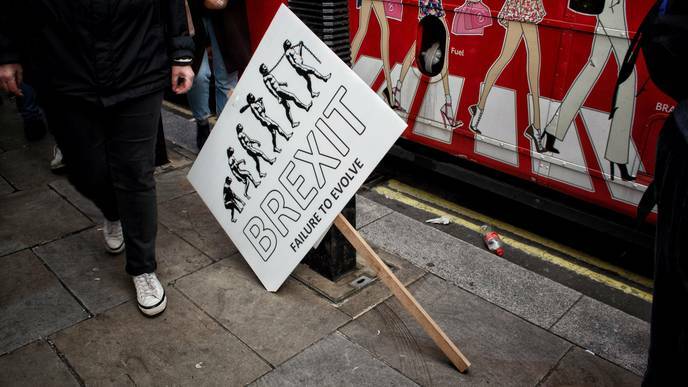 Older people were more likely to be affected by anxieties over Brexit with 37 percent of over-65s saying it had a negative impact on their mental wellbeing, compared with just 28 percent of 16-24 year-olds. Louise Taylor, a counselor based in Cheshire, said the UK's uncertain future had left people feeling powerless, which was directly impacting their mental health. She added that almost a quarter of her clients mention Brexit as a “contributory factor” to a decline in their mental wellbeing. Kate, 33, suffers from anxiety and depression. She says her symptoms have worsened since the results of the 2016 referendum, and she now experiences regular panic attacks and has trouble sleeping. “It really started to affect my mental health in the last few months after Meaningful Vote 1. I remember feeling really sick and anxious. It’s got worse from there. A lot of it is all the lingering going backward and forwards,” she said. “A couple of weeks ago, I was watching BBC News and I just lay on the floor and curled up into a ball until my partner came home. My other stresses and worries were involved in that too, but Brexit really heightened it. I felt awful,” she added. While only 20 percent of Conservative voters reported Brexit negatively impacted their mental health, this figure doubled to 43 percent for people who backed Labour, and 47 percent for those who voted for the Liberal Democrats. Hilda Burke, a psychotherapist and couples counselor, said she frequently sees a “learned helplessness” around Brexit. In treating her clients, Ms. Burke tries to explore ways to make them “feel more engaged and empowered". “Often taking steps - however small - to affect change can help to ease their anxiety and sense of helplessness,” she said.